Description: Women's Red Adidas MicroFibre Robe / Suana Coat. 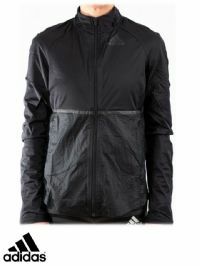 Description: Women's Adidas Black AZ full zip Track Jacket. 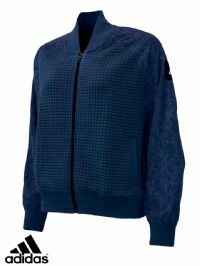 Description: Women's Adidas MoonWash Bomber Jacket navy with a Diamond Quilted pattern on the front. Description: Women's Puma STL PackLight Down Jacket in a Grey Heather-Chambray shade. 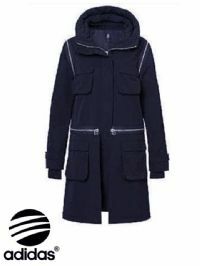 Description: Women's BluePrint Puma Padded Hooded Jacket. Description: Women’s Puma ‘ILP Crazy’ jacket. Features a Puma logo embroidered on the front chest, as well as two front pockets and a hood. 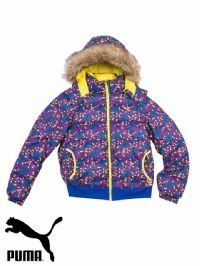 Description: Women’s Puma ‘Winter’ jacket. Features a Puma logo embroidered on the front chest, as well as two button fastened pockets. 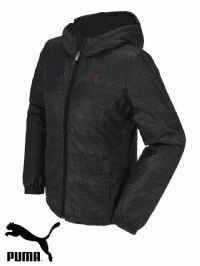 Description: Women’s Puma ‘Hooded Padded’ jacket. Features a Puma logo embroidered on the front chest, as well as two front pockets. 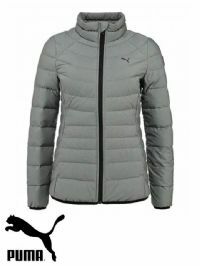 Description: Women's Puma 'Sports LifeStyle' down padded jacket. Features a small Puma logo on the front chest, as well as two front pockets. Also includes a polka dot pattern all over and detachable fur lined hood. Fill: 70% Down 30% Feathers. 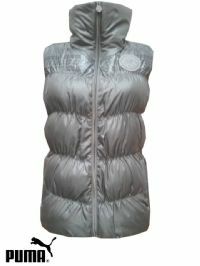 Description: Women's Silver Grey padded Gilet. Full zip fastening. Description: Women’s Adidas SLVR ‘Fishtail Parka’ jacket. 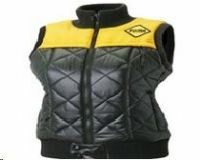 Features front zip fastening, as well as a velcro pocket on the chest. Also includes two lower side pockets and a high collar, as well as zips to detach the sleeves and the waist. Other unique features of this jacket include three adjustable zip away hoods, each made of a different material (cotton twill, polyester, and polyester mesh). Part of the SLVR range which fuses both high end sportswear and casual fashion wear. Description: Women’s Adidas Originals ‘Trefoil’ windbreaker jacket. Features a large Adidas Trefoil logo across the front, as well as two zip pockets and a hood. Description: Women's Adidas Neo 'ST CRD' Corduroy jacket. Corduroy fabric mustard colour all over, as well as having side pockets. Descrtiption: Women's Dark Gull Grey Channel Jacket with 2 button fastetning. Description: An Archive Edition Padded Gillet with Embridered Puma Logo, full zip fastening and two front pockets. Features fleece interior. All Gillet are in Asia Sizing. 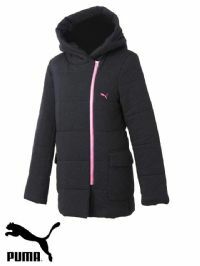 Description: A Puma Full Zip hoodie with a florescent pink, grey and black three tone effect. Made of 100% Polyester. Features a Puma logo on the front chest as well as two front pockets.